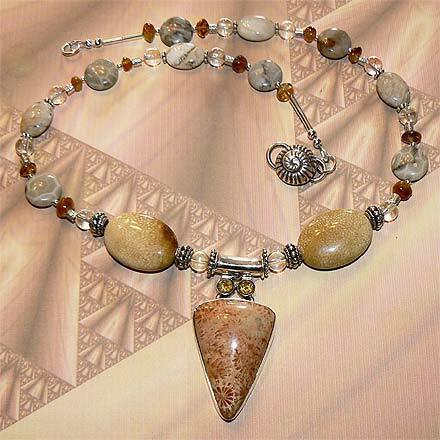 Sterling Silver Fossil Coral and Citrine Necklace. See Closeup. 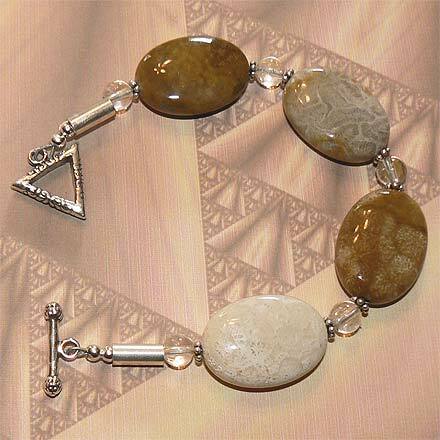 Sterling Silver Fossil Coral and Citrine Bracelet. 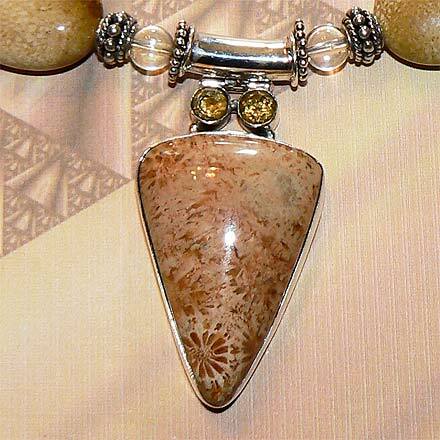 The pendant is a nice thick inverted triangle of Fossil Coral capped with two Citrines. Fossil Coral has so many different patterns...some are like fowers, fireworks or even girafe fur. The necklace has a nice Silver Thai shell clasp to go along with the marine theme.